With the relatively unrestricted access to purchasing and utilising diagnostic ultrasound in practice, there has been a surge in interest in its use within professions assessing and treating patients with musculoskeletal conditions. This may soon be further amplified by increasing portability and reducing costs of systems, including the ability to utilise smart phones and tablets to generate images. If you are able to purchase a system, and utilise it in your practice, a natural progression is then to consider guided injection therapy, depending on the professional background and scope of practice of the individual. There is plenty to debate around the role guided injections – clinical efficacy, revenue obtained through performing them etc etc, and I look forward to hearing thoughts below in the comment section. Should I train to use diagnostic ultrasound before considering guided injections?’ is one of the most frequent questions we receive at The Ultrasound Site, in part this is due to there being limited information available on this aspect and no absolute statements regarding this question from professional bodies. We consistently provide the same message..YES! 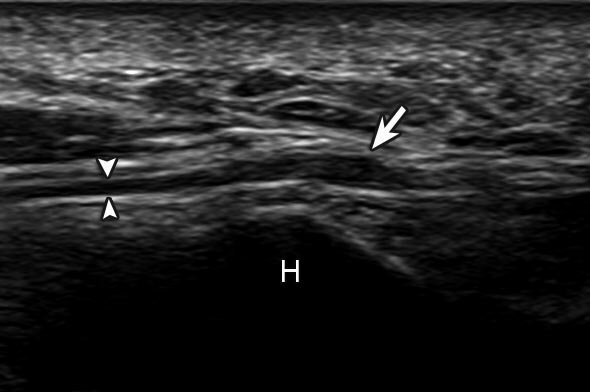 You should develop diagnostic MSK ultrasound competency prior to considering performing guided injection techniques. The development of competent, diagnostic MSK ultrasound skills is a core foundation of its use whatever the professional background or location of its use. There are well established training standards produced by traditional imaging professions such as the Royal College of Radiologists and British Medical Ultrasound Society, and I would recommend reading through some of the documentation and linked publications on this page HERE . We advise these are reviewed by anyone considering starting to train and used as a point of reference. In particular if you are an Allied Health Professional, we would recommend completing a CASE accredited training program to provide you with demonstrable competency at diagnostic level. There is often the assumption that transitioning between a landmark guided technique to an ultrasound guided technique is easy. I am yet to find a delegate on one of our courses who has experienced that this is the case. To the contrary, delegates are often amazed at the difficulty they have when trying to visualise the needle for the first time, despite the expectation that it should be easy. The ability to generate an accurate ultrasound image is a skill in its own right, subtle probe movements can dramatically alter the image you generate and interpret that builds your clinical impression. With the diagnostic interpretation and final report being dependent upon interpretation of the grey scale image created, you can easily understand the importance of high quality image generation as a foundation that cannot be avoided. As a training provider, full time clinician and educator I therefore take a strong and firm standpoint on my message to clinicians who pose questions on this issue – yes, you should develop competency in diagnostic skills first. Do different rules apply for different professional backgrounds? With ultrasound training being extremely varied within the UK, there are often various routes to developing ‘training’ in ultrasound. We feel all professions should follow the established guidance of the RCR and fellow professional bodies. There are likely to be regional,professional and departmental variances on how training is developed and delivered and what is deemed acceptable. What difficulties can be envisaged when performing guided injections without developing competent diagnostic skills? With musculoskeletal ultrasound, you are trying to visualise structures such as tendons, nerves, ligaments, and vascular structures. 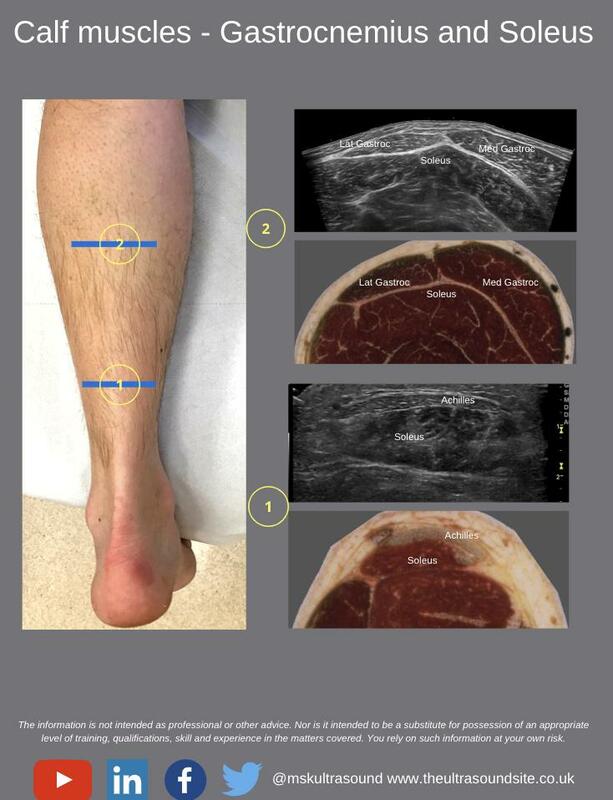 These have varied anatomical routes and without appropriate probe skills and anatomical knowledge, they can be incorrectly imaged and are highly susceptible to artefacts such as anisotropy (See one of our other articles on this HERE). This leads to incorrect image interpretation and potentially inappropriate treatment selections such as injection therapy. Similarly, if efficient and competent probe skills are not acquired then needle visualisation can become very challenging. Several structures can also have similar sonographic appearances, often referred to as ‘pitfalls’ such as fluid collections, bursal distensions, compressible venous structures and regions of musculotendinous junctions which can all appear as dark or anechoic on ultrasound images (see image gallery) and be confused. Your diagnostic ability to differentiate these is important to ensure you are injecting an appropriate and well clinically reasoned structure. ‘Normal measurements’ and ‘appearances’ of tissues on ultrasound is also an area of debate. What is clinically significant? At what point does this ultrasound image alongside my clinical findings suggest I should consider an injection as a form of treatment? Isolated use of imaging to form clinical decisions is not encouraged, and the clinical context is always a vital aspect of the injection workup. This requires clinical mileage to integrate, and a sound appreciation of normal and abnormal structural change and the implications of it as a finding. The development of diagnostic ultrasound skills , and the clinical expertise to decide on injection as an appropriate treatment is the foundation for guided injection therapy. This should not be rushed or skipped in an attempt to develop skills and scope of practice in a quicker fashion. As always, get in touch and let us know your thoughts below or via social media, email and phone!